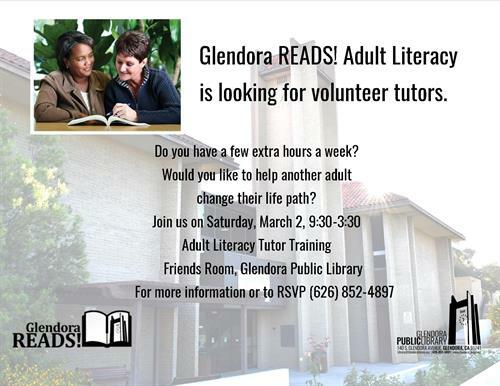 Become a tutor for Glendora READS! Adult literacy program. Please RSVP to sign up, (626) 852-4897.